At 6:30 a.m. this morning the phone rang and it was the post office notifying us that our bee package was in, so off Tim went to pick it up. 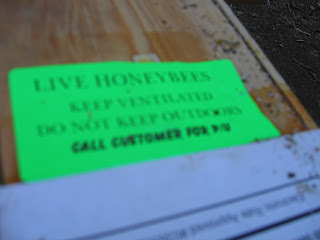 I found this sign on the bees a little funny...aaahhh yeah! I had a hive ready and waiting for their arrival so after work today I fired up the smoker, geared up and went to work getting them out of their cramped box. 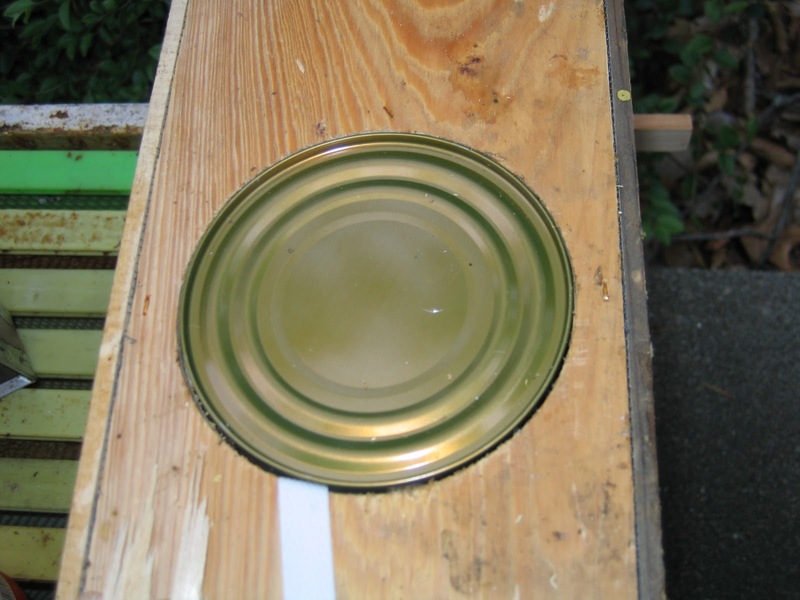 The can in this picture is filled with sugar water as well as holes punched into the bottom for their trip. 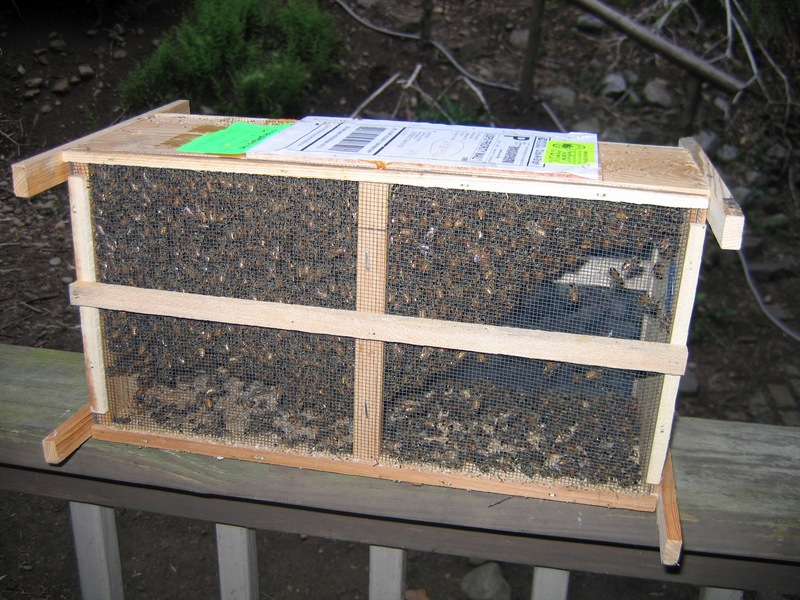 It lifts out of the box of bees and releases them. The white tape like string is anchored to the queen cage. 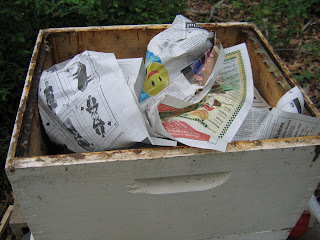 I then add another hive body and fill it with newspaper. 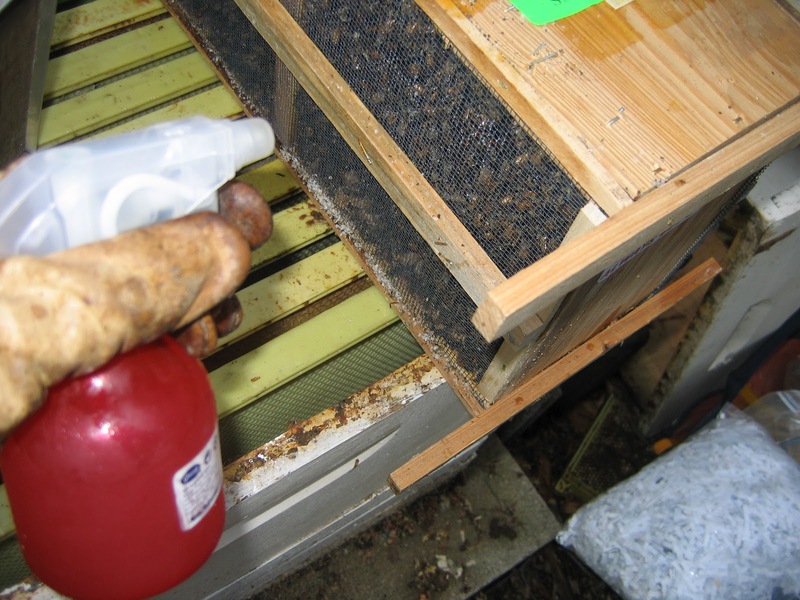 This is for a couple of reasons, 1) to prevent them from building burr comb, it confuses them and 2) I can leave the queen on top along with the sugar water can. I will remove this in about a week. 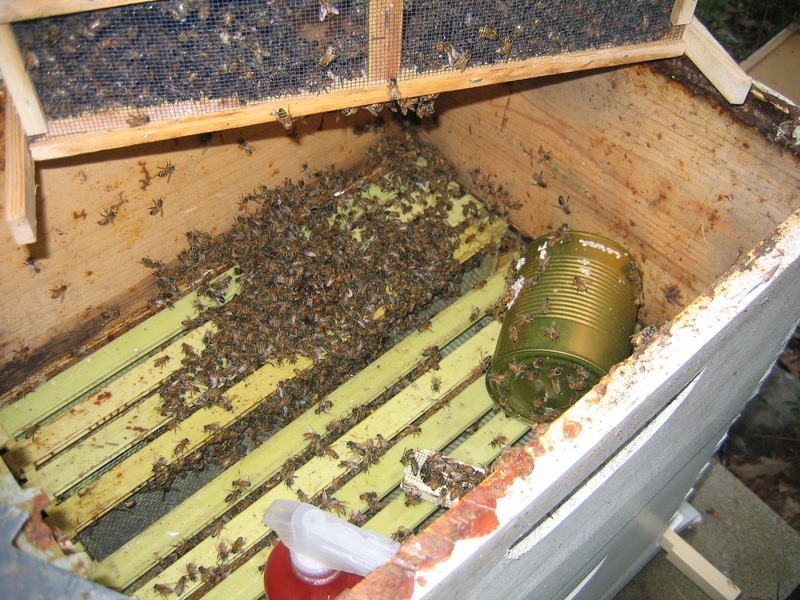 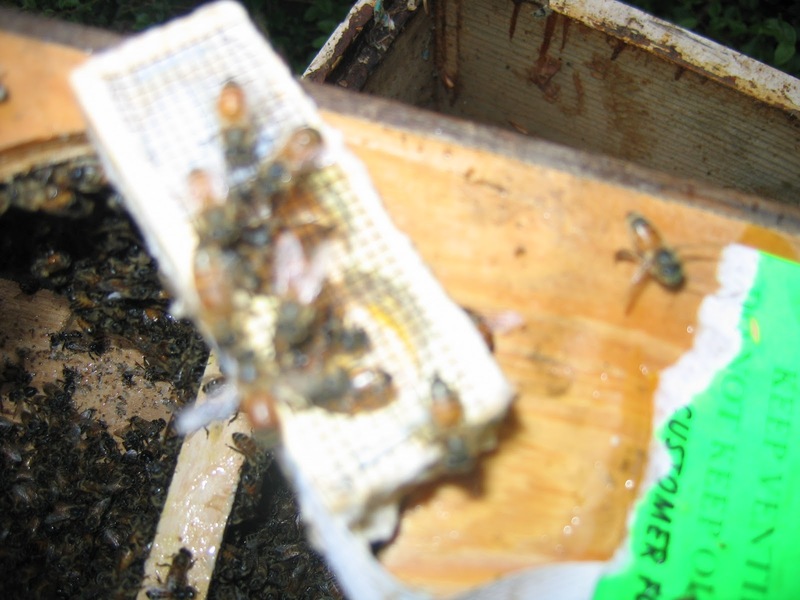 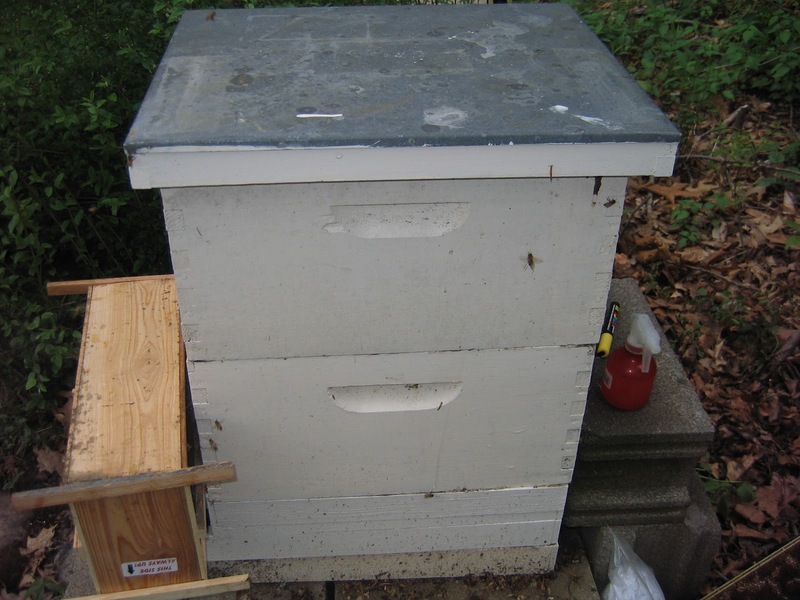 I then close the hive up and in a couple of days I will check to see if they have released the queen. 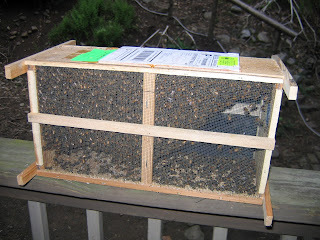 I am so relieved they are home safely!